Our Books are unmatched in print quality and craftsmanship. 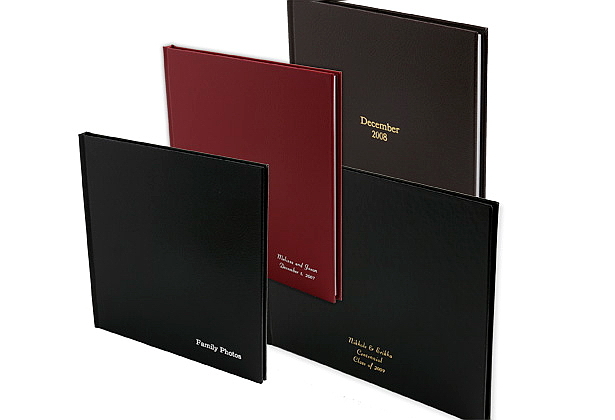 Books are available in four paper options, standard, semi-gloss hinged, satin hinged with lustre coating and pearl hinged, and several sizes including 5x5, 5x7, 8.5x11, 8x8, 8x12, 10x10, 12x12 and 11x14. Books are priced as a base book with a cover and 20 printed sides. 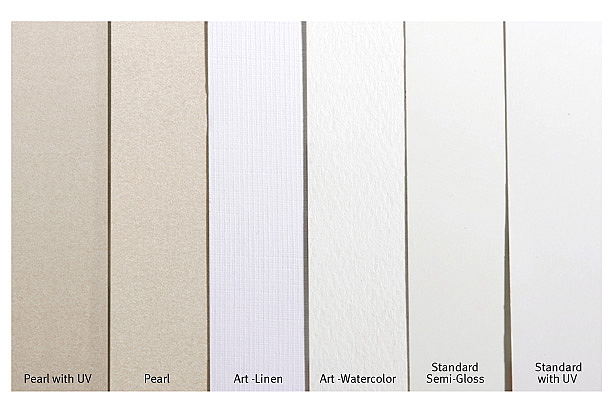 Additional sides are available for up to a maximum of 90 sides on 100# standard text paper, 60 sides for Satin hinged paper, 50 sides on the standard semi-gloss lay-flat hinged paper and 40 sides on hinged Pearl paper. 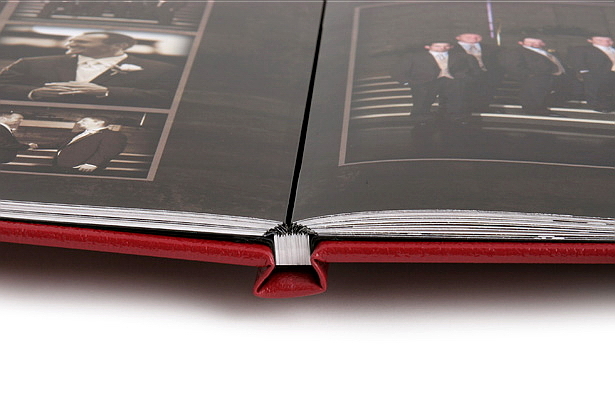 Metallic custom cover with pearl hinged paper. Book Covers from left to right: fabric cover, custom cover, and dust jacket. 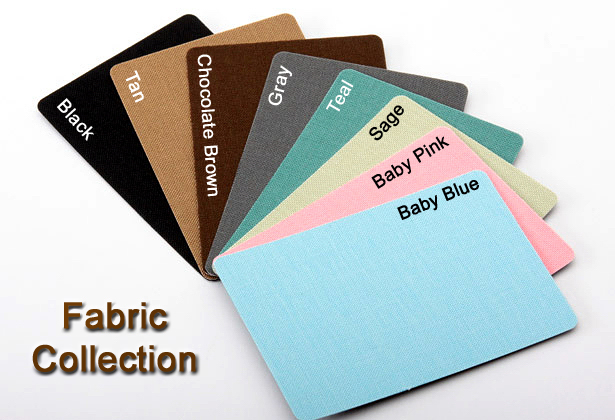 Fabric covers available in tan, black, and chocolate brown. 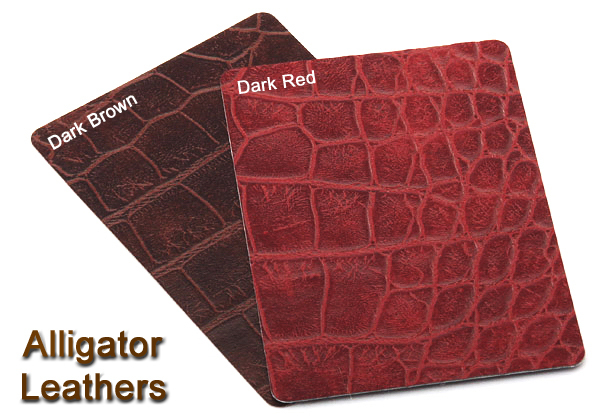 Leather covers available in dark red, dark brown, and black. 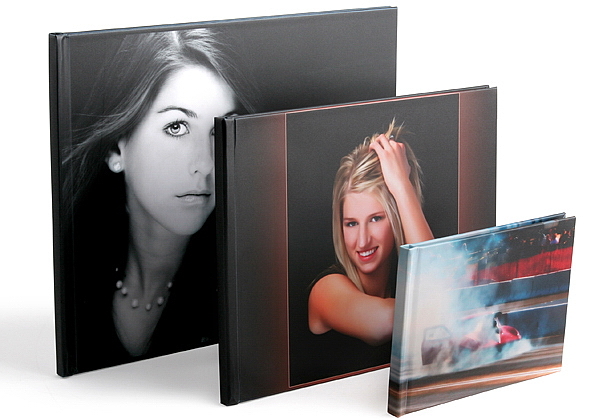 Custom photo covers are completely customizable and adhered to the book. 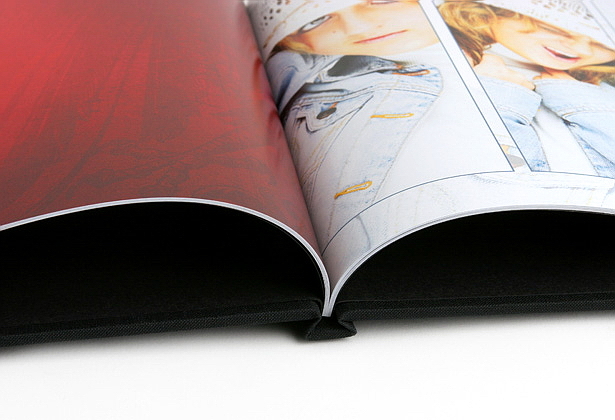 Dust jackets protect the book and are customizable. 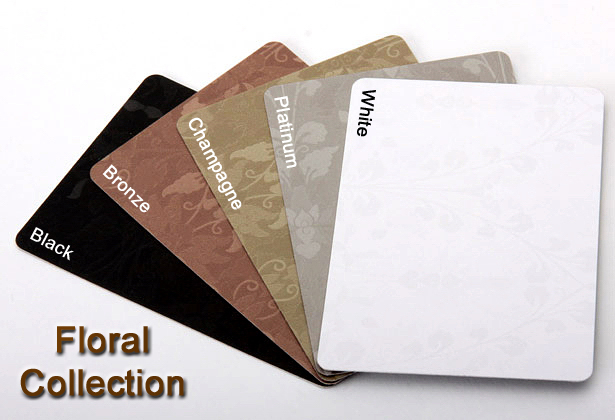 Foil Stamping available in gold or silver, on leather covers only. Hinged Paper allows pages to lay flat. 110 semi-gloss hinged paper, can also be UV coated. Standard Paper lays pages magazine style. 100 text weight semi-gloss paper. 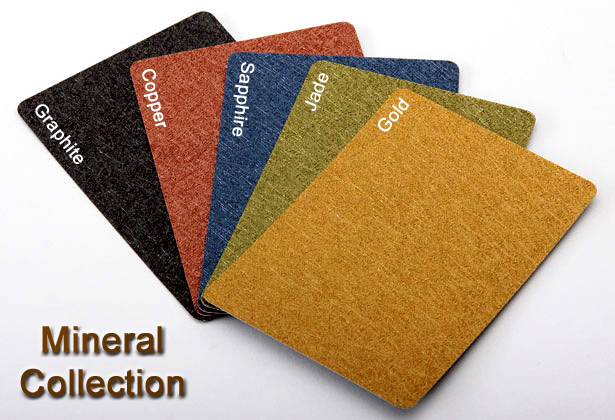 All book covers are made with masonite to give the books a smooth, substantial feel. 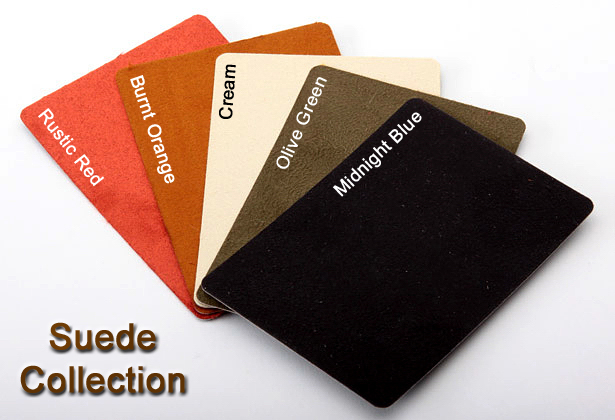 Choose from 33 cover material options including a variety of fabrics, leathers and suedes, or a custom photo cover in lustre or metallic. 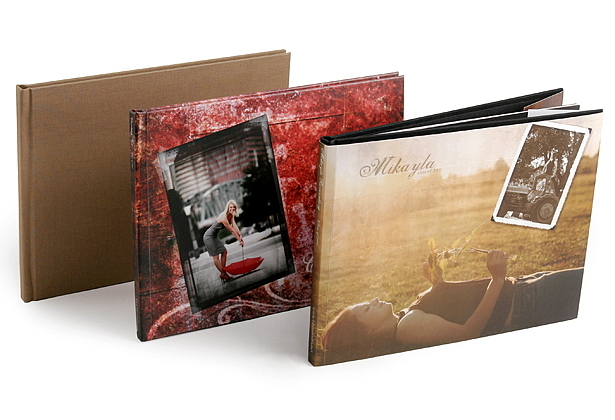 Photo covers are made with a photographic print that is laminated and adhered to the masonite cover. 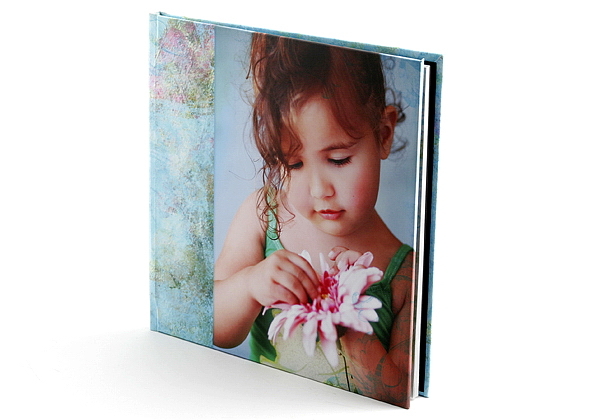 The photo cover allows for complete customization on the front, spine, and back of the book using your own images and designs. 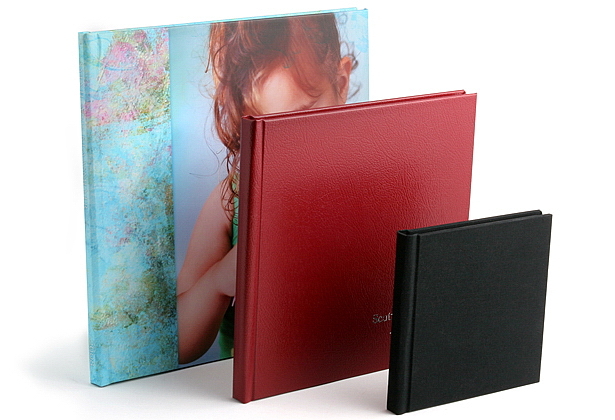 Additionally, we can enhance the cover of your book with a photographic dust jacket or cover foil stamping. 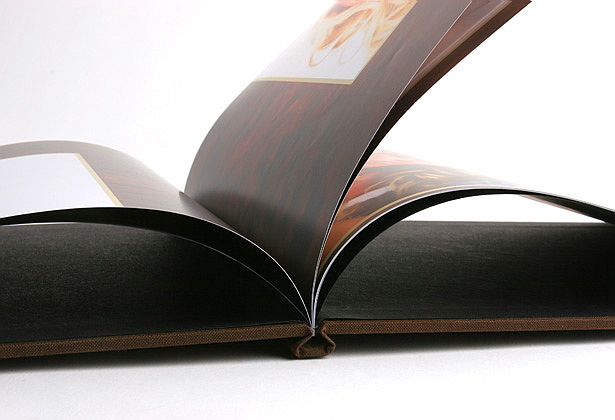 A dust jacket is a photographic print laminated and creased to wrap around the cover of the book. 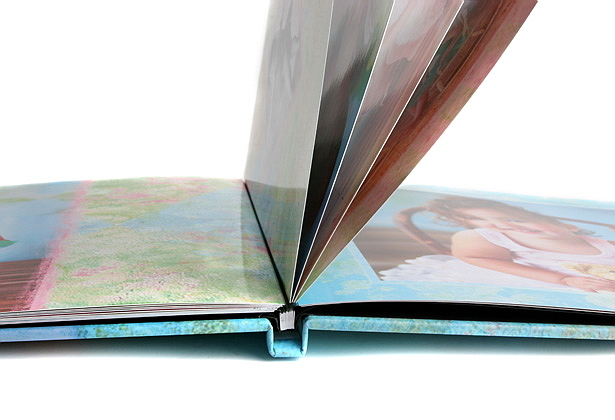 It protects the cover and provides another option to personalize your book by using images, text and graphics. Cover foil stamping allows you to place three lines of text on the front cover in one of three places: the center of the book, the lower right corner, or the bottom center. 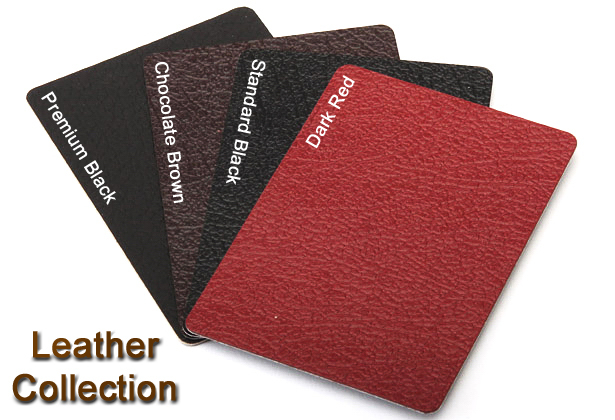 Foil stamping is only available on leather covers. Like all our printed cards, Books are printed with the same HP Indigo printing technology with liquid inks. Book pages are printed on 100# text weight Standard Semi-Gloss paper, 110# hinged paper in Standard Semi-Gloss, Satin hinged paper with lustre coating or Pearl hinged with UV coating. 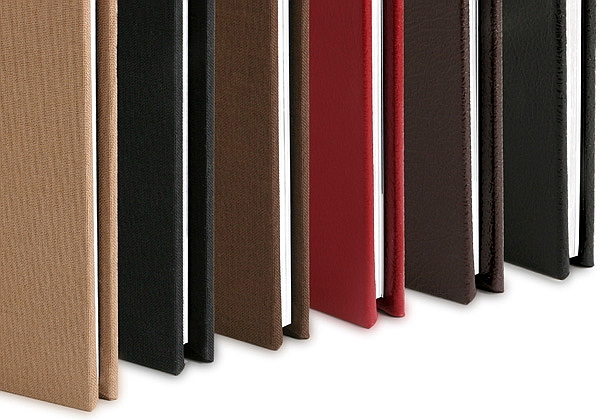 The hinged paper allows open pages to lay flat as well as provides a thicker, more upscale paper option. 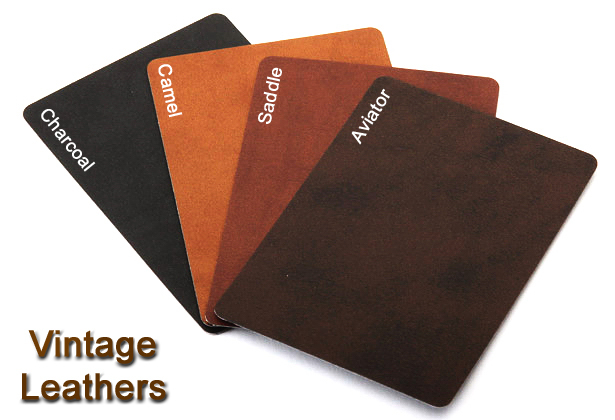 Hinged paper can also be UV coated for added protection and a glossy look and feel. Book pages are stitched together to create the book block that is adhered to the cover using black cardstock end sheets.